We are one of leading manufacturer and supplier of Fuel Storage Tanks. These storage tanks are manufactured with latest and advanced technology for our valued clients. These tanks are available with features like super strong, light weight, corrosion and chemical resistance. 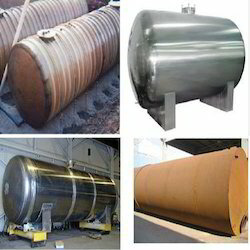 Used in storing highly flammable petroleum and analogous products, we provide these tanks at very industry leading price.